Today, Grandstream released its newest HD IP camera targeting wide area surveillance applications requiring superior resolution and image quality under various light conditions including malls, warehouses, universities, government, hospitals, casinos, parking areas, street traffic, etc. 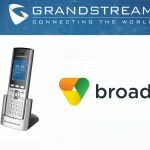 The new Grandstream GXV3651_FHD with 5-Megapixels, full HD video imaging (1,920×1,080p) at 30fps and 2-way audio calling reduces the number of cameras needed within these large area surveillance applications and lowers installation costs. 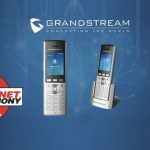 The first 5-Megapixel camera in the GXV product family, the GXV3651_FHD adds another layer to Grandstream’s solutions options by delivering the utmost resolution with exceptional low light sensitivity and functionality at a staggeringly attractive price. It’s now easier to capture hard-to-see image details with extreme high quality under various light conditions such as employees counting money or players’ activities in casinos, face recognition in high traffic areas such as airports or train stations, money transactions in various bank teller windows and car plate recognition at busy toll booths or in a large parking lot, for example.